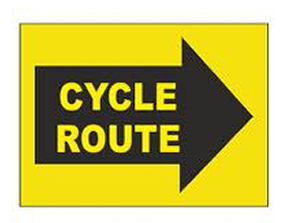 Route outline, Adversane, Alfold, Cranleigh, Winterfold Common, Ewhurst, Oakwoodhill, Rusper, Faygate, Newstead Ghyll, Warninglid, Wineham, Partridge Green, Ashurst, Dial Post. Nightrider London is back for it’s 10th anniversary year! Once again, two routes will be available – a 100km and a 50kmride. Both are circular and start and finish at the iconic Lee Valley VeloPark. The route has been updated for 2019, with a a brand new 25km section in west London. 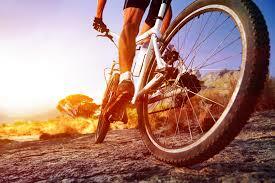 This fun filled charity cycle ride is about taking on the challenge and seeing the sights. It’s not a race and it’s not timed. ​We have put as many of the landmarks of London in as we can, and you can expect to see some hidden treasures along the way! It really is a unique way to explore the capital city. We are proud to be working with Dallaglio RugbyWorks to bring a brand new event to the South of England. With a full day of activities from sportives to racing, Dallaglio Track Fest is set to be a great day for cycling at the iconic Goodwood Motor Circuit. Track Fest will offer something for everyone as we raise awareness and funds for Dallaglio Rugbyworks. All ticket prices include a £5 donation to support the work of Dallaglio RugbyWorks. You can make an additional donation at the basket should you wish. Make sure you get the date in your diary and keep your eyes peeled for more details on the day’s programme coming soon. Interested in the Supercar Track Day check out www.dallagliorugbyworks.com for more information. Ride for a reason and join our celebrity ambassador and TV presenter Davina McCall on this bike ride raising funds for sick babies and children. Davina will be there in person to set you off on your way, and then she will ride the route to try to catch you up! You might just manage to catch her at one of the well-stocked rest stops or at the hearty BBQ lunch served at the finish line which is in the grounds of the beautiful East Sussex National Hotel. Davina’s Big Sussex Bike Ride offers something for every level of rider : New to cycling? Then sign up for the Cool 21-mile route or why not try a slightly more challenging classic 40-mile route. For those more experienced riders we offer the Champion route at 68 miles. The Big Sussex Bike Ride is designed and run by Action Medical Research and you’ll be raising money to fund the next medical breakthrough that will save and change little lives. This is a fabulous and fun day for all and places are limited so sign up now! From here we will head deeper in to the heart of the old royal hunting ground, eventually reaching the small hamlet of Fritham. 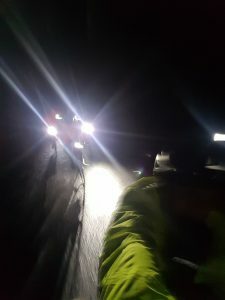 At this point the Standard riders will carry on south towards Bolderwood, while Epic riders continue their journey north for a loop that winds its way in and out of the most northerly border of the forest. Heading south, the riders regroup just before passing under the A31, striking a definite course south towards the focal point of the ride – a spectacular stint through Ornamental Drive. It is here you will see the best the New Forest has to offer. Developed by the Mayor of London and his agencies in 2013, Prudential RideLondon is the world’s greatest festival of cycling. The seventh edition will take place over the weekend of 3-4 August 2019. LSCP works with Transport for London (TfL) and London & Partners (the Mayor’s official promotional organisation) to coordinate the significant technical requirements for the event and work in partnership with London Boroughs, Surrey County Council , The Royal Parks , London Legacy Development Corporation and British Cycling , who are each integral to the delivery of the event.